The Accuplacer is Saint John College's English placement test. If you arrive at UNB Saint John without an official English test score, you'll take the Accuplacer at Saint John College before you begin your studies. Saint John College uses your score on the Accuplacer test to determine in which level of the English program you'll begin your ESL studies. Writing: Test takers are given a general topic and are asked to write at least 300 words (or more) on this topic. Cost: Beginning in January 2018, there will be a $50 charge to take the Accuplacer test. Thursday, May 2, 2019 at 9:30 a.m.
Tuesday, May 7, 2019 at 1 p.m.
Friday, August 30, 2019 at 9:30 a.m.
Wednesday, Sept. 4, 2019 at 1 p.m.
To register for the Accuplacer, visit Saint John College in Annex A on the UNB Saint John campus or email sjcol@unb.ca. It is designed to assess the language ability of people who aim to study, work, immigrate and integrate an English-speaking environment. IELTS Academic ($320 CAD): If you want to study at university, at an undergraduate or postgraduate level, or join a professional association where English is a prerequisite. IELTS General ($320 CAD): If you want to apply for Express Entry or any other immigration program in order to establish anywhere in Canada. Read more about the IELTS. The Canadian Academic English Language (CAEL) Assessment is a test designed to measure the English language proficiency of students planning to study in Canadian post-secondary institutions. CAEL Paper Edition ($225 CAD + tax): A combination of a paper-based written assessment, which measures English proficiency in reading, listening, and writing, and a separate computer-mediated oral language test, which measures English proficiency in speaking If you want to study at university, at an undergraduate or postgraduate level, or join a professional association where English is a prerequisite. CAEL Computer Edition ($225 CAD + tax): Delivers all four parts (reading, listening, writing, and speaking) by computer in a single test sitting. The CAEL is the only test that provides a truly authentic representation of language use in a Canadian academic context. Test takers read articles, listen to a lecture, answer questions, and write a short essay, as they would be expected to do in a first-year Canadian university or college classroom. As a fully-integrated, topic-based test, you'll use the information from the Reading and Listening components to write your essay — unlike other tests that ask test takers to write a persuasive essay with no connection to the academic material. Test results are delivered online and quickly, in just eight business days, or you can choose Express Rating so that your scores are delivered in only three business days. 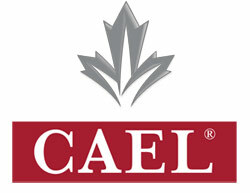 The CAEL (Paper Edition) is accepted by over 180 academic institutions across Canada. A number of professional associations also recognize CAEL (Paper Edition) as proof of English language proficiency required for membership. Watch a CAEL information session. 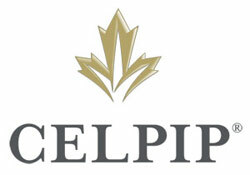 CELPIP is the only Canadian English Language test designated by Immigration, Refugees and Citizenship Canada (IRCC). The test allows test takers to demonstrate their ability to function in English, and accurately assesses a test taker’s English abilities in a variety of everyday situations. The CELPIP test is fully computer delivered and can be completed in one test sitting, with no additional speaking appointments or interviews. Test results are delivered online and quickly, in just eight business days, or test takers can choose Express Rating so that their scores are delivered in only three business days. The test uses Canadian accents. Test takers who have been living and working in Canada will better understand and relate to the Canadian accents used in the CELPIP Test. Watch a CELPIP Information Session.